JAY IS COMING BACK TO TOWN! 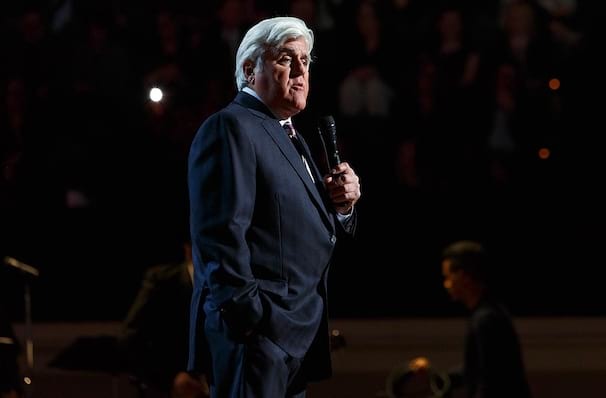 Love him or hate him, the hugely controversial Leno followed in the footsteps of legendary NBC late-night hosts Steve Allen, Jack Paar and Johnny Carson as the host of the Emmy Award-winning and top-rated "The Tonight Show," until his last show in 2014. You would think that he would be eager for some downtime - instead, he continues to hone his roasting and satirical skills at engagements across the country, often exceeding 300 dates per year! Leno is renowned for his incredibly funny monologues, celebrity interviews, and of course his wry look at news headlines that never should have made it into print. He's not afraid to talk about current affairs or to satirize public figures, but does it with a twinkle in his eyes that never comes off as mean-spirited. A keen observer of modern phenomena, he manages to keep his material fresh and up to date, whether he is talking about binge watching television shows or lambasting his futility with technological advances. During his tenure on the Tonight Show, he successfully walked a fine line between attracting his more mature and conservative audience with introducing edgier acts, modern pop culture into his shows, in order to appeal to younger fans - to a hugely varying opinion amongst his peers. Thankfully, it's the people that matter to him, and his enduring popularity hasbt waned since he first burst onto the comedy scene in the 1970s. Sound good to you? 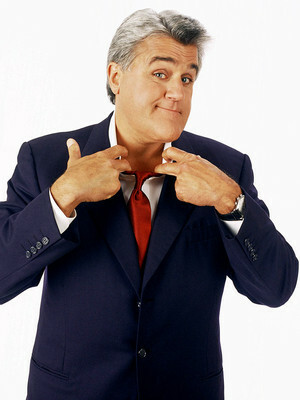 Share this page on social media and let your friends know about Jay Leno at Verizon Theatre. Please note: The term Verizon Theatre and/or Jay Leno as well as all associated graphics, logos, and/or other trademarks, tradenames or copyrights are the property of the Verizon Theatre and/or Jay Leno and are used herein for factual descriptive purposes only. We are in no way associated with or authorized by the Verizon Theatre and/or Jay Leno and neither that entity nor any of its affiliates have licensed or endorsed us to sell tickets, goods and or services in conjunction with their events.